Today I attended the Roots Magic User Group monthly meeting. I'm a member of Southern California Genealogical Society (SCGS), the meetings are held at their library. Since the library is in Burbank, I have almost an hours drive to get there. I've been using Roots Magic for the past year, these user meetings have been so helpful. I really love the program and feel I have "tech support" every month. Today's meeting was a recap of Sources and Citations. The woman who was teaching is just wonderful. She's a grad student home for the Thanksgiving holiday studing in Boston. I'm currently the publicity chairman for my local genealogy society. 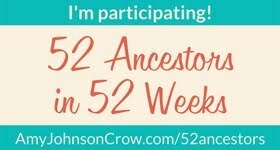 I need to get our monthly newsletter out this week, but have put it off to put in some genealogy time for myself. Busy week ahead.